Click the link above to print and complete your OCNA Registration. The Western Reserve Area of Narcotics Anonymous serves the counties of Summit, Portage, and Wayne in Northeast Ohio. We are a part of the Buckeye Region of Narcotics Anonymous. The purpose of this site is to provide an up-to-date list of NA meetings in the Western Reserve Area, as well as serve as a source of information for WRASCNA announcements, activities, area service opportunities, and area contacts. please call our helpline or come to one of our meetings. 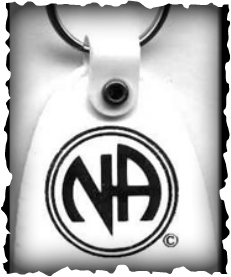 Narcotics Anonymous (NA) is a nonprofit Fellowship or society of men and women for whom drugs had become a major problem. We are recovering addicts who meet regularly to help each other stay clean. This is a program of complete abstinence from all drugs. There is only one requirement for membership, the desire to stop using.